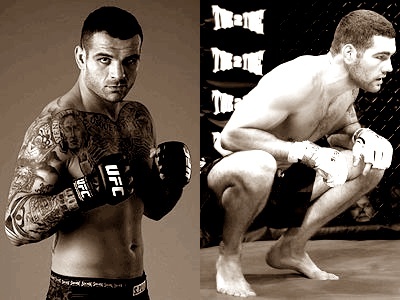 UFC Live 3 delivers the goods as Diego Sanchez outlasts Martin Kampmann in exciting 3-round war, and Mark Munoz finishes C.B. Dolloway in the first round. “UFC Live 3: Sanchez vs. Kampmann” takes place this evening at the KFC Yum! Yum! Center in Louisville, Ky. featuring a welterweight main event between Diego “The Dream” Sanchez and Martin “The Hitman” Kampmann. 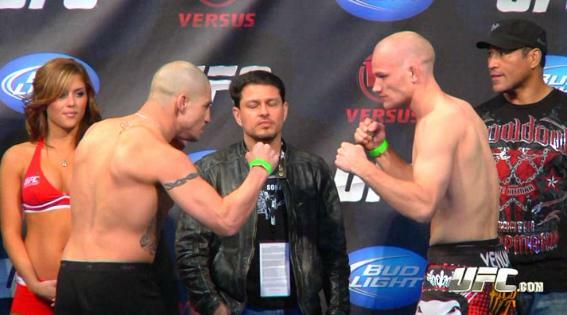 The “UFC Live 3: Sanchez vs. Kampmann” fighter weigh ins took place Wednesday at the Kentucky International Convention Center in Louisville, Ky. Headliners Martin Kampmann and Diego Sanchez tipped the scales at 171-pounds. In anticipation of Thursday’s “UFC LIVE 3: SANCHEZ VS. KAMPMANN” event in Lousiville, Ky., fight fans will be treated to two LIVE streaming events today (Wednesday, March 2). 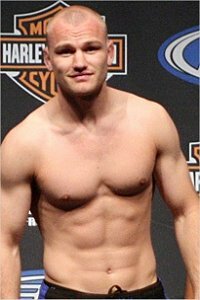 Get to know UFC welterweight Martin “The Hitman” Kampmann who will be facing Diego “The Nightmare” Sanchez this Thursday at UFC Live 3 in Louisville, Ky.
Kelvin Hunt previews the UFC Live 3 middleweight match-up between UFC veteran Alessio Sakara as he takes on newcomer Chris Weidman.